Never Miss A Minute of The Fun! This post about The Greatest Showman – Reimagined and The Greatest Showman – Sing-A-Long is sponsored by Atlantic Records. Opinions and my family’s adoration of the soundtrack are our own. We have had the soundtrack to The Greatest Showman playing on a loop in the house and in my car for several months now. I don’t mind it, because I love the album, but I’ll admit I was excited to hear about this new version that’s got all kinds of reimagined versions of our beloved songs on the soundtrack! Today’s the day it’s available, and we’re ready! Here’s a video of mini Martin #3 lip synching to “This is Me” which is a song that ALL of us love, not just for the music but the meaning behind the lyrics…and this little one had a tough year with friends last year and it’s really been an empowering song for her. She requests it on the way to soccer practice every time! As a funny haha, well, my husband didn’t realize we were recording and there’s a little surprise at the end for the mini. But we left it in because, as they say, this IS me, or us, and that’s kind of how things go in our family! We all have our favorites. The Greatest Show is a given, and it was really fun that our school band played this at their Pops Concert a few weeks ago. My favorite is Never Enough, followed closely my my oldest’s favorite, Rewrite the Stars. Don’t tell my kids, but they’re getting the Sing Along for Christmas….and the Reimagined album on their devices when they wake up tomorrow! We are big fans and can’t wait! 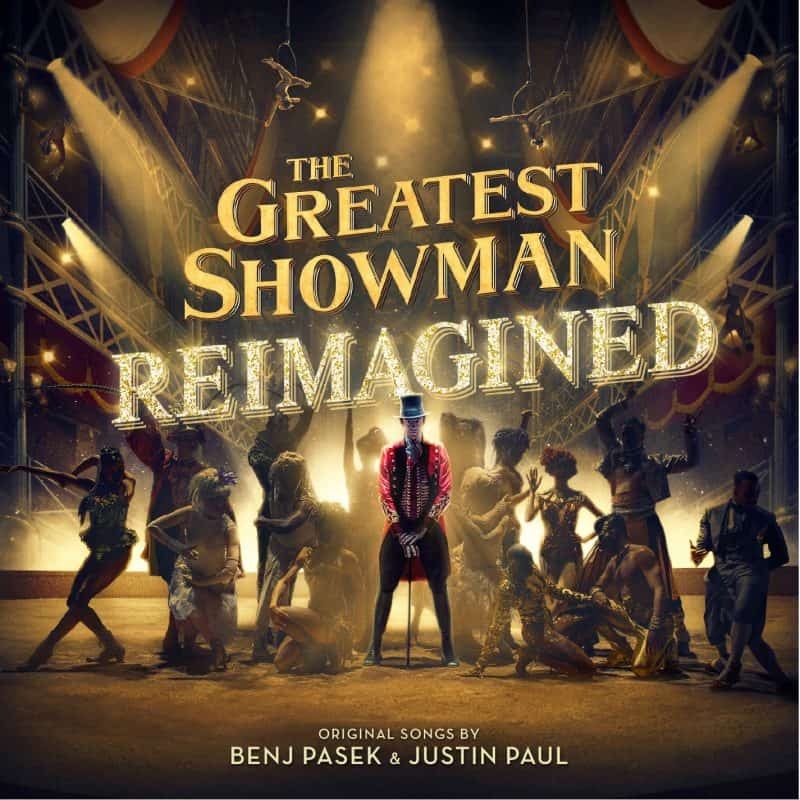 “The Greatest Showman – Reimagined” sees songs from the film, all written by GRAMMY®, Tony, and Academy Award-winning duo Benj Pasek & Justin Paul (La La Land, Dear Evan Hansen) covered by a remarkable cast of artists. The album is highlighted by a new version of the 3x platinum certified smash, “This Is Me,” performed by Keala Settle, Kesha and the legendary Missy Elliott. Other superstars contributing include Panic! At The Disco, P!nk (and her daughter, Willow Sage Hart), Kelly Clarkson, Sara Bareilles, Years & Years and Jess Glynne, MAX and Ty Dolla $ign, James Arthur and Anne-Marie, Zac Brown Band among others. As if that weren’t enough, the album will include four bonus tracks, performed by Pentatonix, Craig David, Kesha, and Zendaya. Hugh Jackman’s dazzling performance as P.T. Barnum in this musical based on the creation of the Barnum & Bailey Circus has fans buzzing. Now everyone can sing along! 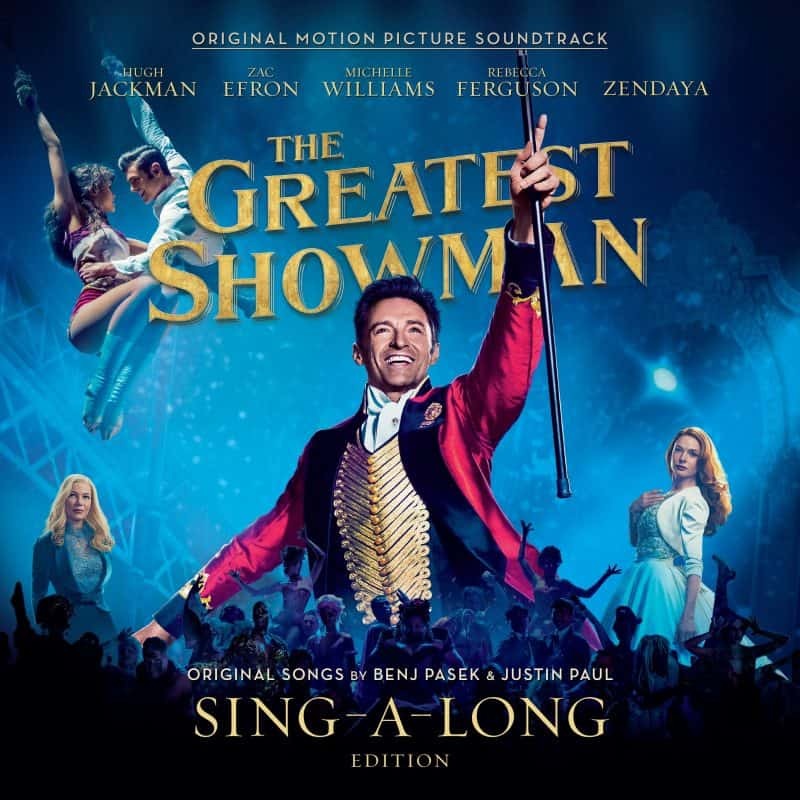 “The Greatest Showman Sing-A-Long” is a deluxe edition of the bestselling soundtrack is presented as a hardback CD book, with a 32-page booklet containing all song lyrics from the film, as well as a bonus disc of instrumental sing-a-long tracks giving fans the chance to be the stars of their favorite songs. So what is YOUR fave song from the movie? Which reimagined version are you most excited to hear from The Greatest Showman Reimagined? Tell us in the comments!! I'm a 40 something lifestyle blogger living Connecticut with my husband and our 3 kids, plus a whole lot of assorted indoor and outdoor pets. We love to travel, play games, watch movies, and be outside together! When I'm not on the blog, I'm usually found in the car driving kids to soccer, basketball or gymnastics. I have actually never seen this movie but I have heard great things. I’ll have to check it out. Thanks for sharing! What a great video and thank you for the surprise at the end. I am sorry your mini-me had a tough year with friends last year. Kids can be so mean. We really enjoyed The Greatest Showman movie so I am sure this would be a hit in our home. Pink singing with her daughter is so cute. I know this movie was a big hit with kids because of all the music, so I’m sure they would love the sing-a-long version. I need this! LOL. I also just heard they announced a world tour of the songs. GAHHHHHHHHHHHHH!!! I just love all the songs from The Greatest Showman. I can’t imagine life without music, and I’m so grateful that the amazing minds behind these songs created such a stunning soundtrack.